I’ll keep it brief, since I have guest blog post on Yodlee’s web site this week. In it, I discuss a couple of themes I see as important to startups and incumbent players in financial services: the growing role of open API’s and UX (or focus on the user experience), a traditional strength of consumer Internet businesses like Yelp. I’ll reiterate few points. Although API’s have been around for many years, my experience is that big banks have seldom focused efforts on them for internal or third-party integrations due to security, being slow to adopt modern development frameworks, and a need to focus on legacy systems. That simply needs to change. I recently spoke with Joe Floyd, a principal at Emergence Capital about FinTech. We agreed many functions of financial services companies risk being disrupted by startups (such as LendingClub) and the role of API’s. We envisioned – in the context of today’s mobile solutions and app-centric world – a world in which the user grants permissions to their financial apps – just as you allow apps like Twitter to access your contacts. In this world, your financial apps – which may be from your bank or not – e – might have the ability to see your bank balance and move money between accounts. Solutions would focus on the user’s priorities, e.g. budgeting. I also met up with former work colleague working in customer experience strategy at Wells Fargo. While Wells Fargo excels at this area, he was open about how far the bank has come. Our talk reinforced my view that banks are seldom naturally strong at UX, given their focus on annual budgets, long development cycles, and numerous stakeholders. Yet banks can – with their deep understanding of client needs – achieve similar UX success by being more agile and user-centric. As a glimpse of what it might be like, imagine instead of Microsoft Word, Excel and PowerPoint, your team uses modern collaboration tools, like Asana or Slack (winner of last week’s TechCrunch Crunchie award). 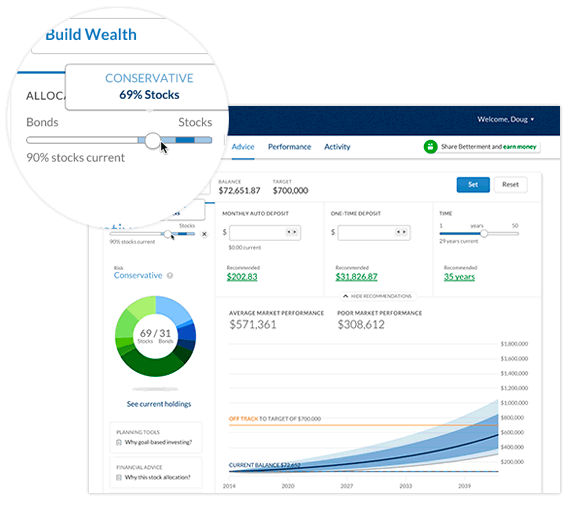 Posted on February 12, 2015 February 13, 2015 by Michael Halloran	This entry was posted in Uncategorized and tagged API, Betterment, Emergence Capital, Slack, UX, Wells Fargo, Yodlee. Bookmark the permalink. Completely agree! Banks have huge resources to develop best services ever, but the lack customer-centricity and flexibility to ensure best possible UX. And they lose millions because of such “little thing”. In financial UX Design Agency we have calculated impact of ignoring UX: http://www.uxdesignagency.com/blog/How-banks-are-losing-millions-by-ignoring-UX-design Take a look, it’s simple and impressive!